Home » » How 8 Nigerians Raped Lady In Front Of Her Boyfriend In Italy. 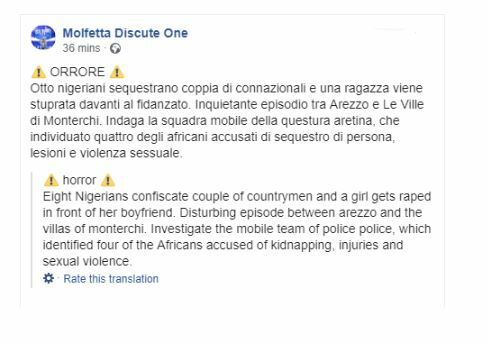 How 8 Nigerians Raped Lady In Front Of Her Boyfriend In Italy. It was gathered that the couple believed to be Nigerians also were offered to be hosted at the house where the Nigerian immigrants live as the man’s girlfriend was asked to prepare food for them not knowing what they had planned. The boyfriend was reportedly beaten by the Nigerian migrants, while the leader of the group allegedly grabbed the girl and threatened her with the knife before sexually assaulting her along with others.